Aikido is a famous Japanese martial art developed and founded by Morihei Ueshiba. He is often known as The Great Teacher by many Aikido students. Aikido is all physical in itself, and is a self-defense martial art as well as a sport. It basically involves some throws and joint locks in order to gain control over an opponent. The martial art mainly focusses on using the dynamics of motion. In order to incapacitate the opponent, one focusses on using the opponent’s energy, throwing them away from you. The art focusses on training a student on; physique development, spiritual relations, moral relations with the outside world and wisdom development. This is all done using both the physical energy and mind. 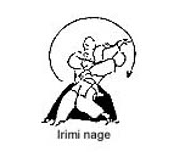 The introduction of Aikido as a sport was pioneered by Kenji Tomiki, one of the earliest students of Aikido. The reason behind making it a sport was to sharpen the skills and focus of many Japanese students pursuing higher education. 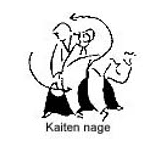 The type of Aikido practiced in tournaments is called Tomiki-ryu, which involves the use of Kata, prearranged forms, involving the use of bare hands and rubber knife. • 11th Aikido World Championships- August 21st-30th, 2015, Surfers Paradise, Gold Coast, Australia. Aikikai Foundation is the headquarters of the Aikido World Federation and was incorporated in 1940. All activities are coordinated from this headquarters based in Tokyo, Japan. It certifies and grades all Aikido sports instructors all over the world. What is the aikido tournament? The Aikido World Championships are tournaments that are organized by affiliates of fighting styles of Shokodan Aikido and Tomiki Aikido. While the competition might be open to all fighting style, the leading competitors tend to be members of Tomiki and Shoksan Aikido. The events are primarily split into Randori and Embu as well as team events such as Dan and Kyu Grades. This particular fighting style is considered a cocktail of utility, form, and ethics that also contribute to its prevalence in the martial art sector. This style of martial arts has its roots in Japan and is considered one of the most studied fighting disciplines in the world. In most cases, the aikido training schemes typically involve the use of effective, non-lethal and efficient methods of beating the opponent. 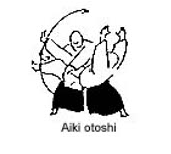 Similar to all martial all art styles, Aikido can be deadly, but its central philosophy focuses on peaceful ways of disarming and defeating the enemy. It is important to note that one of the mainstays of Aikido is to learn to defend without emotions such as anger and vengeance and forgive your enemies and to calibrate yourself for any attack. As a result, an Aikido world championship contender must learn how to control the attackers balance as well as his force to neutralize and stop the attack. The competitions held in different locations every two years and the most recent one include London in 2011 and Kawasaki City in 2013. More so, most organizers often have engaging games with the audience whereby some spectators can win gifts and awards. All winners get a special present from a popular and reputed retailer of the best valentines gifts for her in UK. 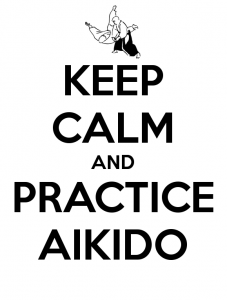 Aikido is an ideal activity for those seeking adequate mental and physical exercise. 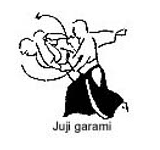 It is considered a gentle yet lethal style of fighting due to the way it lacks punches and kicks. Consequently, this makes it ideal for just about everyone ranging from teens to grandparents.